There is no better way to get in touch with what surrounds us than walking the space we want to discover. Walking allows us to observe, enjoy what we see, imagine, dream and, as Rubio Remiro says ‘The act of walking makes us think and build our own world that oscillates between the real and the imagined. Sant Joan d’Alacant, an intersection of roads from the thirteenth century, currently offers the walker a great number of sections of historical paths of the Horta belonging to what it was before the city of Alacant, which had an ample municipal boundary benefited by the Christian settlement and repopulation after the Islamic dominion. 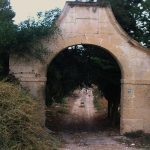 Roads such as that of LLoixa, whose first references describe it already in that century and that was part of the old connection between the city of Alacant and Xàtiva, one of the main land transportation routes for trade and agricultural production.  And others that were constructed later to give place to a great network of communication channels whose main intersections were located in what currently is the municipal boundary of Sant Joan. The historical roads, that the walker can still walk in the sections that cross the municipality of Sant Joan thanks to the protection they have as a result of the approval of the latest General Urban Plan, went to Valencia through the interior, to Villajoyosa along the coast, to the port of Alacant, to Mutxamel and Xixona and to El Campello and Busot. The first population centres, irrigation infrastructures, the towers for refuge and defence, the hermitages and the houses and villas of the Horta were consolidated next to those roads. A heritage that, although is greatly diminished by the impotence of some of its owners and the uncontrolled urban maelstrom, allows us to enjoy it and makes us imagine how life was back in those times. Walking around Sant Joan will make us feel as part of what we observe; tower defenders, peasants that go to take shelter in them, barons, marquesses or simple people of the Horta. It makes us dream of owning large houses, look over the fences, observe details and greet or talk to the people that we meet. 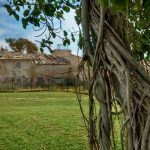 The historical paths of Sant Joan, a space of the territory that can be traversed in order to recover the traces of the past, allow the walker to admire different patrimonial elements built between the sixteenth and nineteenth centuries. In its routes you can find the Torres de l’Horta, such as Torre Bonanza, Salafranca, Ansaldo and La Cadena. The estates, houses and residential villas of the nobility and bourgeois of Alacant La Concepcion, Villa Manzaneta, Finca Abril, La Princesa, Lo Bellón, Palmeretes, San Jorge, Santa Ana, Capucho … Hermitages such as Santa Ana (Salafranca), El Calvario, Villa Flora (LLoixa), Palmeretes, Virgen del Rosario (Fabraquer) or Virgen de Loreto. The main historical roads that we can visit through different itineraries are in the following locations. First, in the districts of LLoixa and Salafranca; Camino de Lloixa, Serení, the vías pecuarias (cattle ways) Colada de la Coix and Vereda de Sant Joan. Second, in El Fabraquer; Camino de Palmeretes, El Campet, Camino de Marco, Real de la Vilajoiosa, Vereda de Benimagrell. Third, in Princess-Lo de Bellón; Camino de Princesa, Vereda de Sant Joan, Camino del Fondo, Cantalar and the one in la Venta del Primo. Walking is a healthy habit, it reduces the risk of depression, provides for emotional well-being and makes you daydreaming. We encourage you to walk with us.